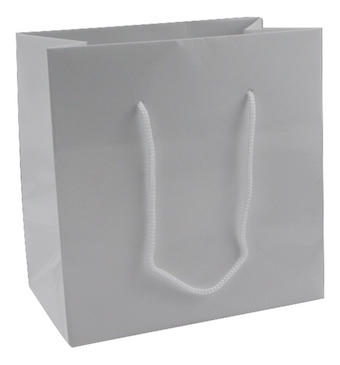 Small White Gloss Paper Carry Bag with Rope Handle. Ideal size for pendant, bangle and other, mid size boxes. Printable.